Should I try to buy or make something like this? It's a bit late notice for me to try and buy or make something so specific as this without spending more money than I would want to, but I could probably find a regular sweater and stick all this stuff on it, right? Some of my extended family usually has us over on Christmas or maybe the weekend before Christmas, depending on my cousins' schedules. We have food and play a game and then have a Chinese gift exchange. This year they have decided to add an ugly Christmas sweater contest. They are also going to have a pretty Christmas sweater contest. But that's totally subjective, right? 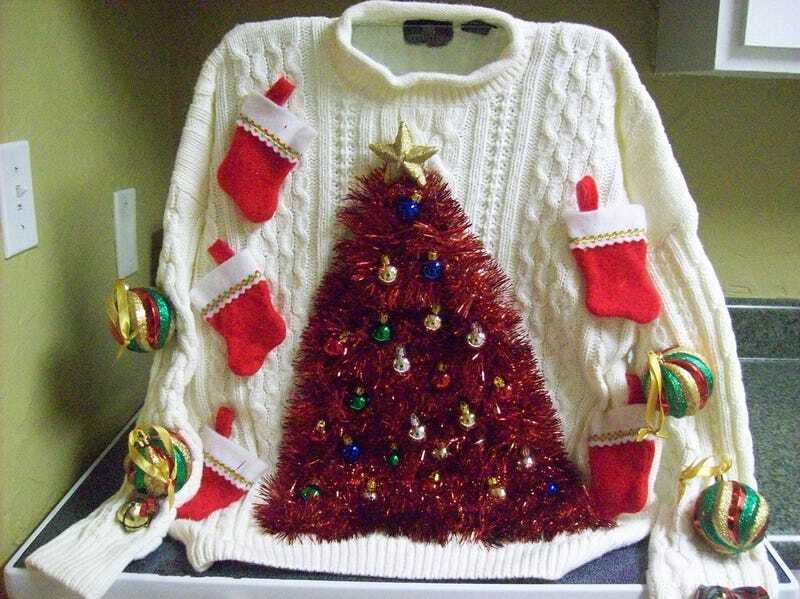 So you might think you have the really pretty sweater and end up winning the ugly sweater contest. How do you know which ones are the ugly ones? This one is ugly, right? Or is it just because of the model?